Have you ever tried a Hatch Chile Pepper? If you have, you probably know why these special peppers have a devoted (some say even fanatical) cult following. Hatch Chile Peppers look like many other long green peppers (they look just like Anaheim peppers), but to be called a Hatch Chile Pepper it has to have been grown in New Mexico’s fertile Hatch Valley. 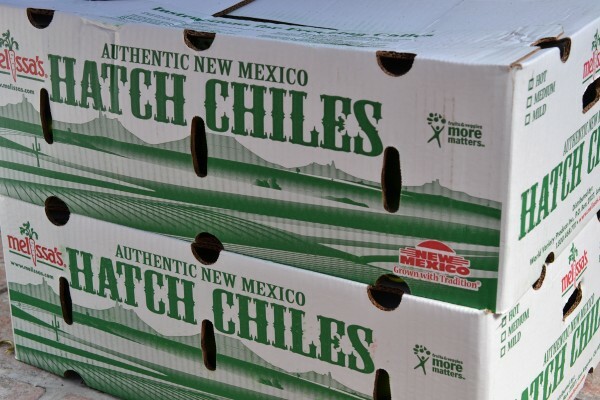 What makes Hatch chiles different? Hatch enthusiasts say the special taste comes from the climate: just the right balance of intense sunlight, rich Rio Grande River soil and the cool desert nights. Hatch chile season comes right at the end of summer, and people tend to make a party out of roasting them when they arrive. Right now, Melissa’s Produce and Bristol Farms markets have been hosting Hatch Chile Pepper roasting events all throughout Southern California and Arizona (check the Hatch Chile Pepper roasting dates here). This week, we had the good fortune to visit a Hatch roasting at Roe Restaurant and Fish Market in Long Beach, where Chef Arthur Gonzalez got an early start cooking up Hatch-related menu items to hungry and curious customers. 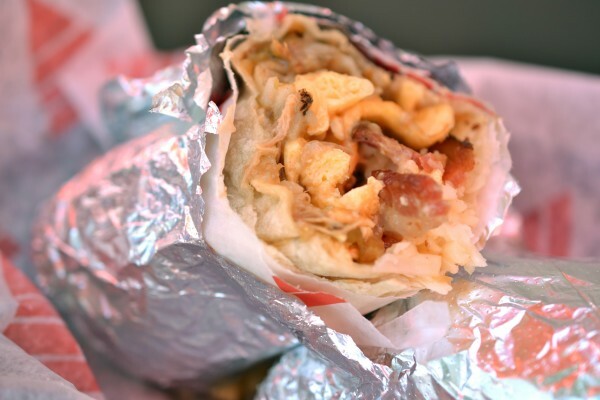 While the giant rotary roaster rolled out perfect roasted chiles, we sat outside and enjoyed a Hatch breakfast burrito (eggs, bacon, potatoes, cheese, and Hatch chiles). We got the cream cheese/tortilla suggestion from Melissa’s and we liked the idea so much we decided to do it ourselves. The result? A lovely little Hatch-etizer that even kids can enjoy. Toast or steam the tortillas until they are hot and pliable. Quickly spread the cream cheese over each tortilla. 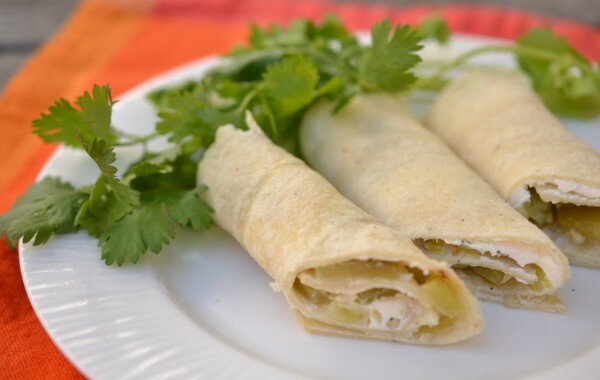 Take Hatch chile slices and distributed them evenly over the tortillas. Roll up the tortillas and slice on the diagonal to reveal the pinwheel design. Garnish with cilantro if desired. Serve immediately. Serves 4. Not close to a Hatch roasting of your own? 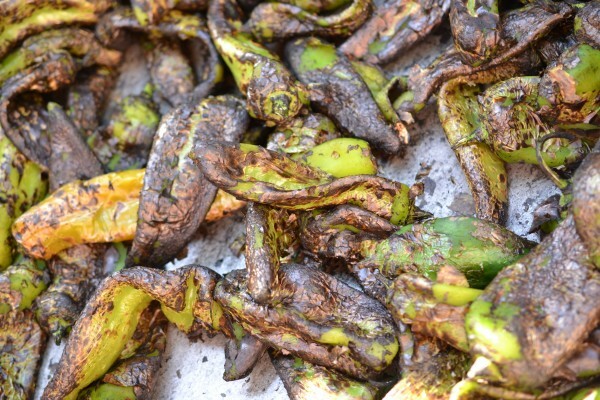 You can order fresh Hatch chiles from Melissa’s, and roast them yourself (we like this little tutorial from Shockingly Delicious.). Hey, thanks for linking to my roasting tutorial! Love those Hatch! I have a version of that recipe coming out Sun. Sept. 9! Great minds think alike. There is no chile more delicious than a roasted Hatch Chile. If you haven’t tried them yet, you don’t know what you’re missing. And Melissa’s has the very best! I love your roasted pepper pics – gorgeous — and the pinwheel is exactly the snack I wish I was eating right now!